At JtiForge we follow strict quality measures to give best quality products. The products undergo several quality checks at various levels before being deemed fit for the market. With the legacy of Chrome Vanadium inherited from our former parents, Jhalani has a variety of high-quality tools for the discerning professional. The two main attributes are heavy-duty jaw grip work of all shapes and serrated grip for non-slip gripping. Jhalani automotive tools are designed to reach tight corners, reduce fatigue, prevent scratches, and instill pride of workmanship in the owners. Our high quality grease guns and lubricants tools facilitate superior performance. Smoothness and precision are the two things that characterize the performance of our carpentry tools. Our high quality vices made from high-strength steel and iron facilitate superior performance. Lightweight body swings faster for greater power at point of impact. our hammers functions perfectly. Leather tool products are well designed and easy to handle. availabel indiffrent types to carry all your tools. 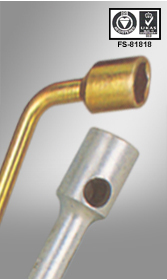 Jhalani is known as a viable source for high- quality yet inexpensive tool range.